George Willard is a young reporter on the Winesburg Eagle to whom, one by one, the inhabitants of Winesburg, Ohio, confide their hopes, their dreams, and their fears. This town of friendly but solitary people comes to life as Anderson's special talent exposes the emotional undercurrents that bind its people together. In this timeless cycle of short stories, he lays bare the life of a small town in the American Midwest. 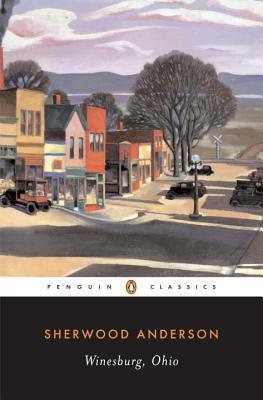 Born in 1876, Sherwood Anderson grew up in a small town in Ohio—an experience that was the basis of his greatest achievements as a writer. He served in the Spanish-American War, worked as an advertising man, and managed an Ohio paint factory before abandoning both job and family to embark on a literary career in Chicago. His first novel, Windy McPherson's Son, was published in 1916; his second, Marching Men, a characteristic study of the individual in conflict with industrial society, appeared in 1917. But it is Winesburg, Ohio (1919), with its disillusioned view of small-town lives, that is generally considered his masterpiece. Later novels—Poor White, Many Marriages, and Dark Laughter—continued to depict the spiritual poverty of the machine age. Anderson died in 1941. Malcolm Cowley (1898–1989) a leadiing literary figure of his time, wrote numerous books of literary criticism, essays, and poetry.